Put ginger, onion, garlic, curry powder, garam masala and chilli powder into a food processer and whizz up until blended finely. Heat oil in a pan, add the spiced mixture and cook on medium heat for 10 mins. Add chicken stock and sugar, bring to gentle simmer and cook for 20 mins. 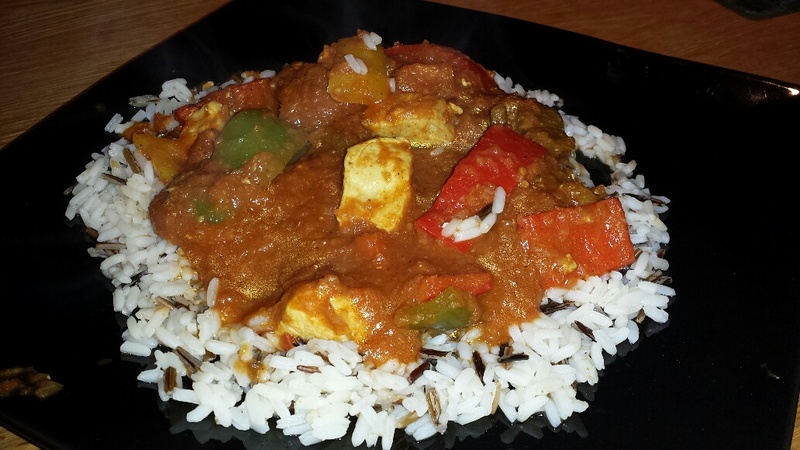 Cook choosen rice as per packet instructions…..serve. Yummy.